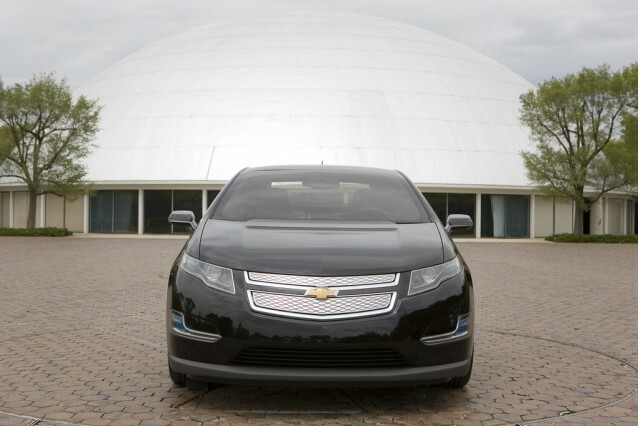 Chevy Volt SS a Possibility? Bob Lutz is the go to guy at GM to find out little tidbits of information about upcoming models. He has an uncanny way of letting some information slip from time to time. Perhaps slip is the wrong word, as Lutz tends to be outspoken in a way that his word are rarely cautious and typically deliberate. Case in point, Bob Lutz was recently asked if Chevy would produce a high performance SS version of the upcoming Volt and his response was, "I would not discount that possibility." Lutz went on to state that the powertrain in the Volt is easily adaptable to an increase in on-demand power stating, "If we want to sacrifice a little bit of fuel efficiency in the interest of performance and still get over 200 miles per gallon, we can do that at any time." Nearly every Chevy product has been adorned with the SS badge at one point in time during its lifecycle. From the Cobalt to the Trailblazer, the SS badge has found its way into models across the board and applying it to the Volt would not be a shock. In addition, with the recent announcement of the production of the Cadillac Converj, based on a similar powertrain setup, the same conclusion could likely be drawn regarding a performance V-Series variant of this upcoming model. Whoever said fuel economy and performance don't go hand in hand will be proven wrong by GM if these two high performance variants get the green light.